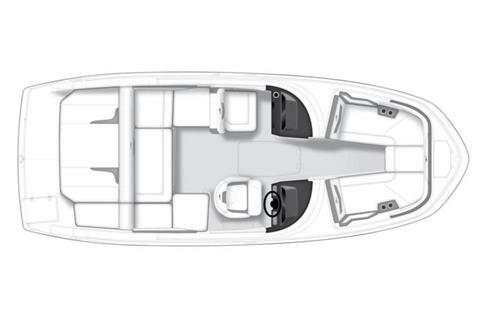 The M-22 features luxurious seating appointments and offers room for the entire crew. 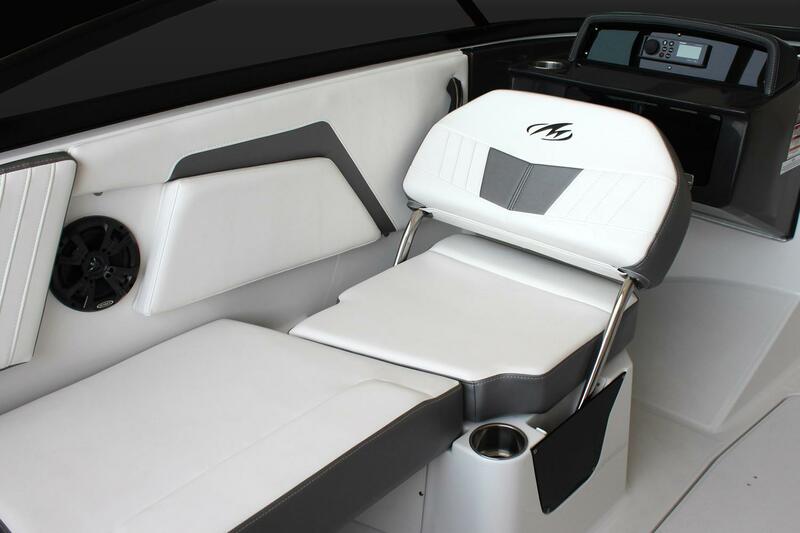 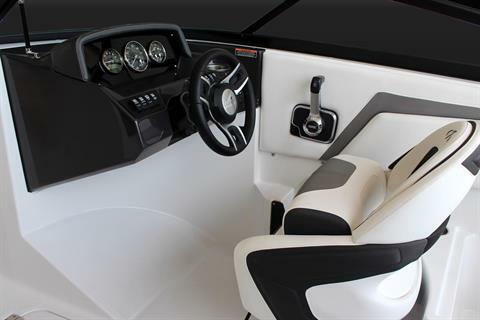 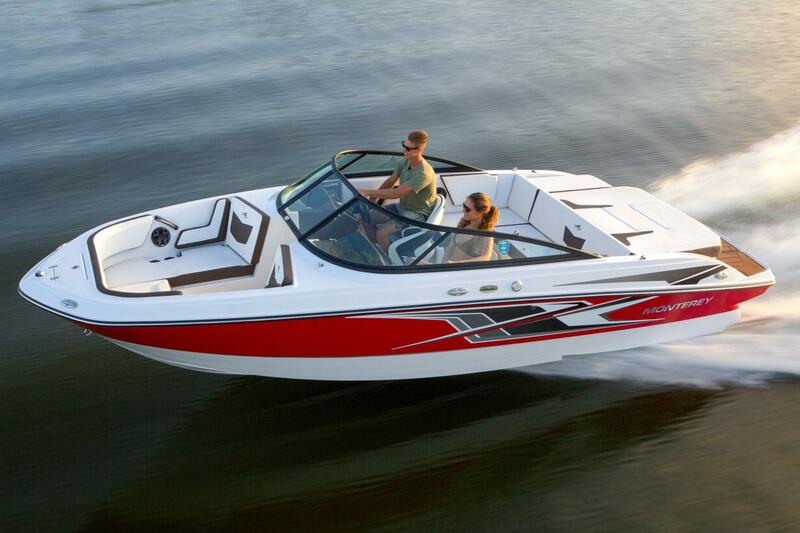 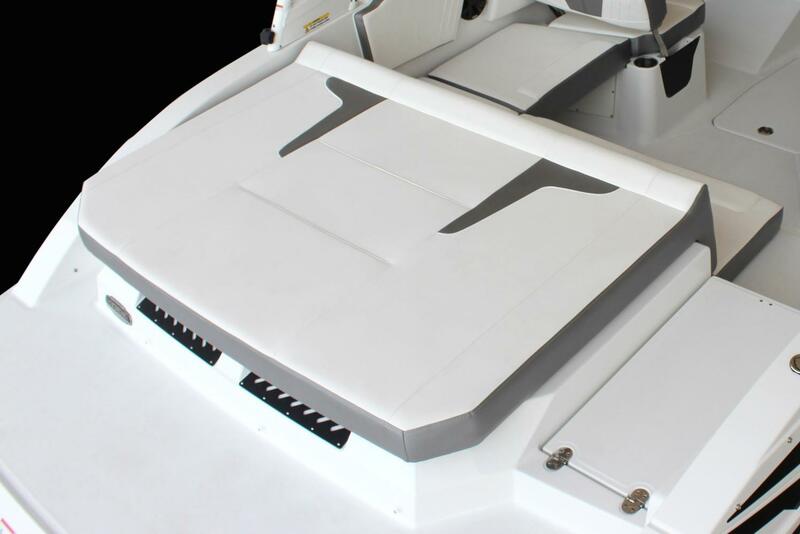 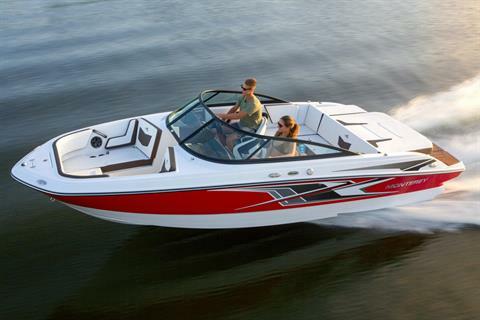 Equipped with an ergonomically-designed helm station featuring a fiberglass dash with upholstered visor, medallion digital instruments, MP3 adapter, and power assisted tilt steering; this boat is a captain’s delight. 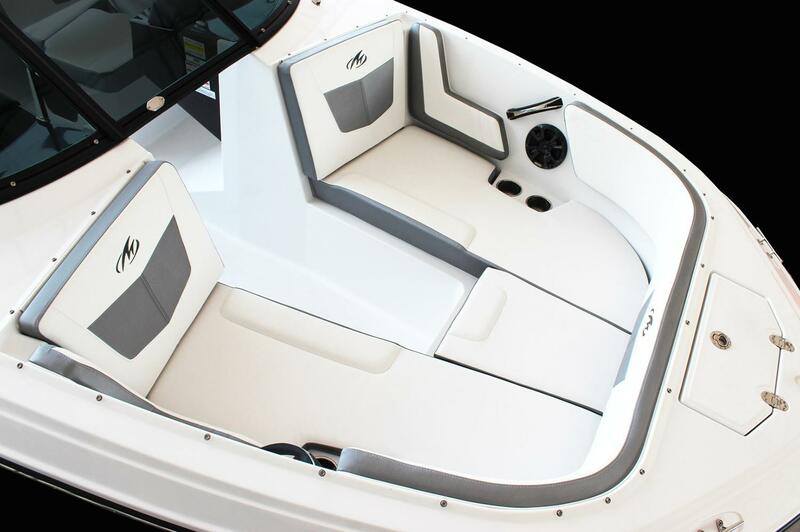 Other amenities include a choice of 2 upholstery packages, Fusion Satellite Ready AM/FM USB Stereo with Bluetooth & 4 speakers and a 48-quart carry-on cooler.